A rare opportunity to acquire a major Great Plains farmland holding presents itself December 1 when Thomas Land Company goes to auction at the Keith County Fairgrounds in Ogallala. The 28,645-acre farm includes 26,739 deeded acres and 1,906 leased acres of Nebraska state farm and ranchland with 11,705 acres in dryland crops, 13,293 acres in ranchland, and 3,647 acres in irrigated farmland. “It is very rare to find an assemblage of this magnitude and diversity being offered for sale,” said Scott Shuman of Hall and Hall Auctions. 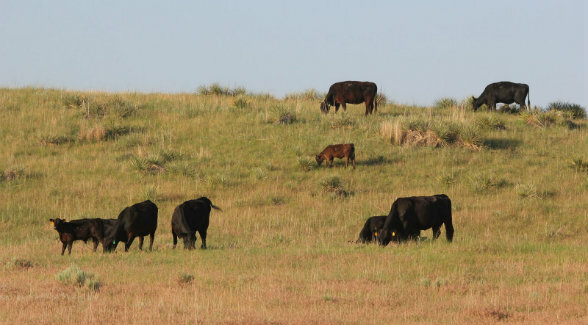 “This diversity allows for the ability to market a cross-section of crops and livestock at different points in the production cycle, and the location is hard to beat given that the ranch overlooks the largest lake in Nebraska.” Located in Deuel, Keith, and Perkins counties, Thomas Land Company will be offered in 50 tracts ranging from 10 acres to more than 5,000 acres. For more information, call Shuman at (800) 829-8747 or read more here.